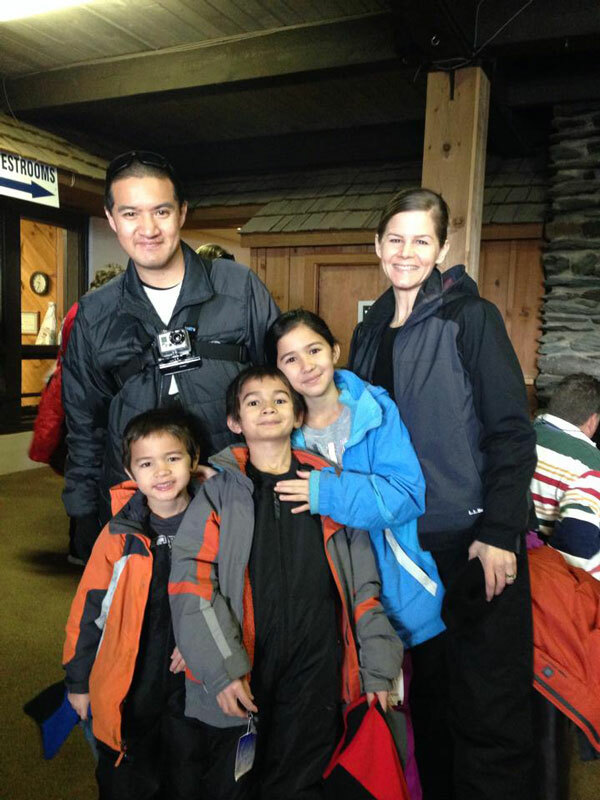 For the MLK holiday weekend my family and I decided to take a trip to Boone North Carolina to go snow tubing! 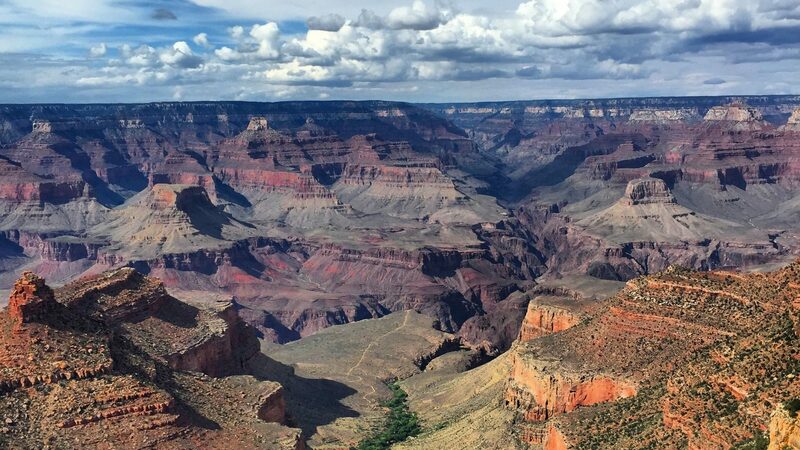 I have been seeing tweets and posts on Facebook lately from friends who have gone and my wife and I figured it would be a great weekend trip for the kids who are going stir crazy at the house this winter (they are in year round school and haven’t been in school for almost a month now). Hawk’s Nest is the largest snow tubing park on the East Coast with a 20 Lane Snow Tubing Park with four different areas to snow tube and lanes from 400 – 1000 feet long. They also have 2 conveyor lifts to bring you back to the top which they call moving carpets. 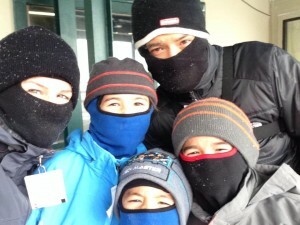 Check out the video from our snow tubing adventure! Overall we had a fantastic time at Hawk’s Nest. But there were a bunch of things they don’t tell you on their website or it was so buried in the information that we didn’t see it. Here are some tips if you are going to plan your own trip to Hawk’s Nest Snow Tubing. 1. Parking cost $5 and it’s cash only so make sure you bring some cash with you. 2. You can rent lockers. They cost $3 with an additional $10 cash deposit. The lockers are pretty big so if you are going with other people you could probably double up. 4. We saw a ton of families where the kids were in sweatpants and coats with no scarves etc. It was 8° out! Those poor kids never had a chance. Lots of shivering huddling inside by the fire and wasted time when they could have been tubing! The store has everything you will need to stay warm and it’s reasonably priced but make sure you dress your kids appropriately. A ninja family is a warm family! 5. There is a liability waiver you must sign. It is not clear on the website but every adult needs to sign their own waiver. The ticket office is outside so it’s better to just print out the waiver for yourself and have it ready to go upon arriving. 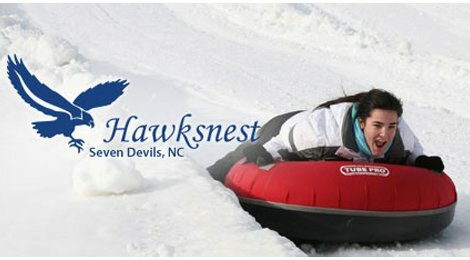 Download the waiver for Hawk’s Nest Snow Tubing here. 6. The times sell out quickly so you should totally do what we did which was book online. You can book online here. 7. All the tubes are the same size so don’t decide just grab the closest one when you enter the park. 8. You WILL spin and spin quickly on some of the lanes. If you get motion sickness you may want to consider taking some Dramamine. 9. The moving carpets are crazy slow so if you want to maximize your trips down the hill, consider doing a bunch of runs down the two back sets of lanes. Those you can walk back on your own and repeat the runs often. The walking keeps your body (especially your feet) warm. Eventually (about 1 hour in) people will get cold and start going back inside to warm up. That’s when you can take the time on the moving carpets and do some of the bigger runs with minimal delay. 10. There are people who take your pictures while you are at the top and on the moving carpets. If you want a family shot, make sure you are all together when jumping on the belt. The pictures were reasonably priced but none of them had our entire family in it so we passed.